List of the latest and upcoming video games for Microsoft HoloLens. For each Microsoft HoloLens compatible game you can view Walkthrough gameplay videos, trailer, interview and dev talk YouTube videos. You can view the game release date for each platform, as well as for each of the Microsoft HoloLens games you can rate it and share your opinion about it. Following the movie, Smurfs: The Lost Village brings those cute Smurfs right into your home. The movie came to theaters on March 31. Begin on a roller-coaster adventure full of action and danger beginning with Papa Smurf in the Smurf Village before entering the dangerous Forbidden Forest which is filled with magical creatures and Smurf-eating plants. A great journey awaits for you, right there in your living room, or wherever you decide to play it. Yu-Gi-Oh! is an upcoming Augmented Reality online multiplayer trading card game for Microsoft HoloLens. 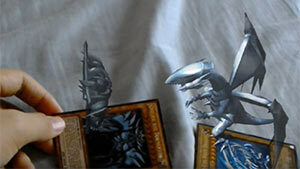 It was designed for mixed reality, in which the characters appear on top of real-life Yu-Gi-Oh! cards. RoboRaid is a first-person shooter AR game for Microsoft HoloLens. It uses the HoloLens gaze and gestures to target enemies and avoid incoming attacks. The game is taking place in the entire room you've decided to play the game in, and each room you play it you get a completely different experience. The real world and the virtual world blends in together to create a unique FPS experience you never experienced before. Young Conker is a lovely platformer adventure game designed for mixed reality using Microsoft HoloLens AR headset. 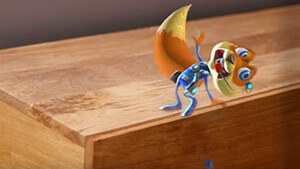 You play as a charming little fox character that comes into life within your room. Each room and each different furniture arrangement generate a distinct level and gameplay experience. This AR game uses the HoloLens spatial mapping to create unique character interactions based on the objects inside your room. The game uses gaze-based gestures, no controller needed. 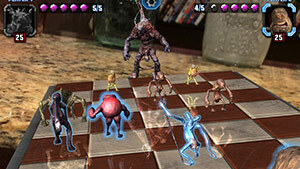 HoloGrid: Monster Battle is a monster-battling board Collectible Card Game (CCG) for Virtual Reality and Augmented Reality, a Hearthstone-like game. The game was developed by a Studio owned by Phil Tippett, the guy behind the stunning visuals in Star Wards and Jurassic Park among others. As of the time of writing, exact information about supported platforms wasn't revealed. HoloLens is an Augmented Reality headset developed and manufactured by Microsoft. This head-mounted smartgalsses runs a Windows Holographic operating system. The current development version of the HoloLens features a 2.3-megapixel widescreen stereoscopic display, a Spatial sound red 3D audio speakers (which doesn't obscure external sounds), accelerometer, gyroscope, magnetometer,ambient light sensor, a 120°×120° depth camera, a 2MP photographic video camera, Bluetooth 4.1 LE and Wi-Fi connectivity. It has 2GB of RAM, 64GB of flash internal memory, has 2GB of RAM (1GB HPU RAM) and operates via gestural commands which can be detected via the on-board sensors. Also unlike a VR headset that relies on external processing power to run its apps and games, the HoloLens AR headset has a full computer built into the headset itself. All these HoloLens sensors give the headset an ability to read and understand what the surrounding environment looks like. The headset utilizes a Holographic Processing Unit (HPU), which was custom-made by Microsoft specifically for this particular headset. 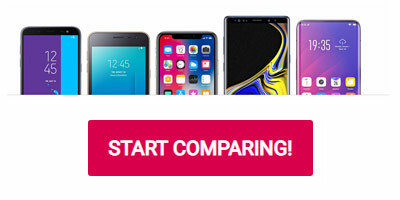 ;This coprocessor allows the headset to efficiently construct spatial mapping, gesture recognition and voice and speech recognition, with all that done in real-time. 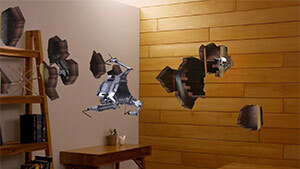 This Augmented Reality headset offers a different visual and interaction experience than Virtual Reality, because it doesn't completely obscure the player's field of view, and the game objects can appear all around you wherever you are. It can understand the real objects in the scene and interact with them, unlike Virtual Reality, where the entire experience is virtual. HoloLens opens up a new world of creative app possibilities, which can produce interactive apps and games that use the digital content in relation to real world objects. 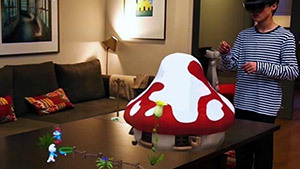 The 3D Holographic content is blended with your physical world using holograms, allowing more natural and some say, more immersive experience than VR. The digital information beautifully overlays and seems to exists in your real world. ;Microsoft's HoloLens wasn't designed to replace the real world like VR but blend with it. In my opinion, it opens up a way for many new types of social interactivity games and apps that can create completely unique and enjoyable experience that most people haven't experienced before, prior to HoloLens.